Syracuse Speed Skating Club | Striving for greatness on every turn! Striving for greatness at every turn! Did you know you can try speedskating for FREE? Striving for greatness on every turn! 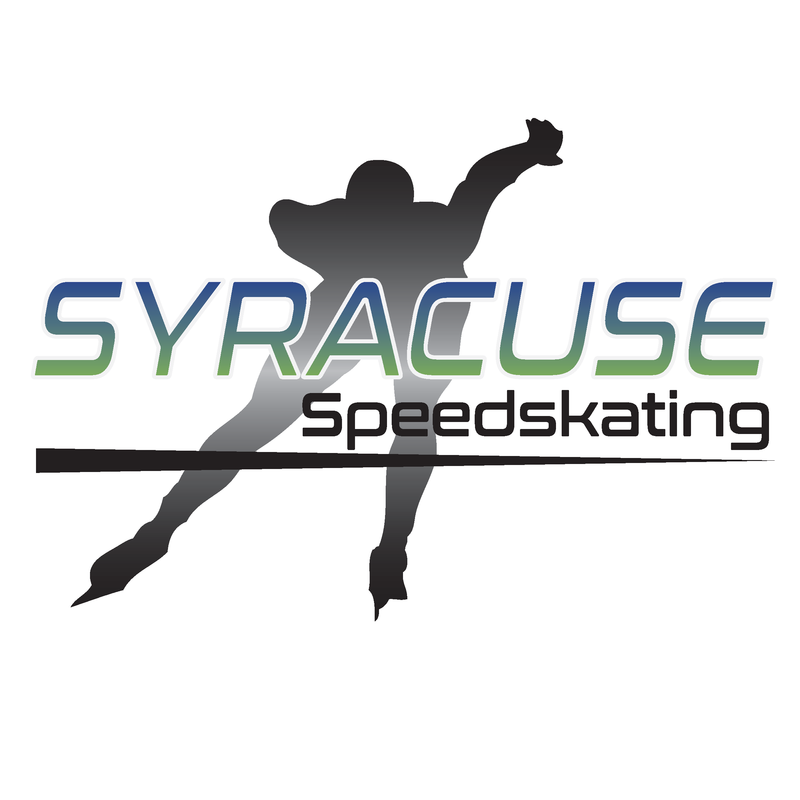 Syracuse Speedskating Club is dedicated to the promotion and enjoyment of the exciting sport of speedskating. With the distinction of 3 nationally certified coaches, Syracuse Speedskating offers opportunities for athletes to develop at their own pace in a friendly, supportive and challenging environment. Our skaters compete at the local, regional and national levels. Syracuse Speedskating seeks to provide both beginners and nationally ranked skaters the skills they need to improve, achieve personal goals, and most of all, have fun! Syracuse Speedskating is the only speedskating club in Central New York, with members from Onondaga, Oswego, Tompkins and Oneida counties. We welcome new skaters to join us for a free first session and experience the thrill of the fastest sport on ice! Click here to learn how. Numerous skaters achieving national and international titles began their skating careers at the Syracuse Speedskating Club, including National Short Track Champions Jenn Barber, Kathy Same, and Kate Stewart. Current SSC coaches and former Olympic Trial participants, Gretchen Burns and Cherise Wilkins have also achieved multiple National Championships. Current SSC skaters achieving national recognition include Kate Stewart, 2018 Masters National Champion (50-59) and fellow 2018 Masters National Champion (30-39) Cherise Wilkins, who set new National Age Group Short Track Speedskating records in both in the 500m (:49.933) and the 777m (1:18.411). Syracuse Speedskating also congratulates alum Alex Zamojski for his participation in the 2018 USA Olympic Team Trials in Milwaukee, WI. 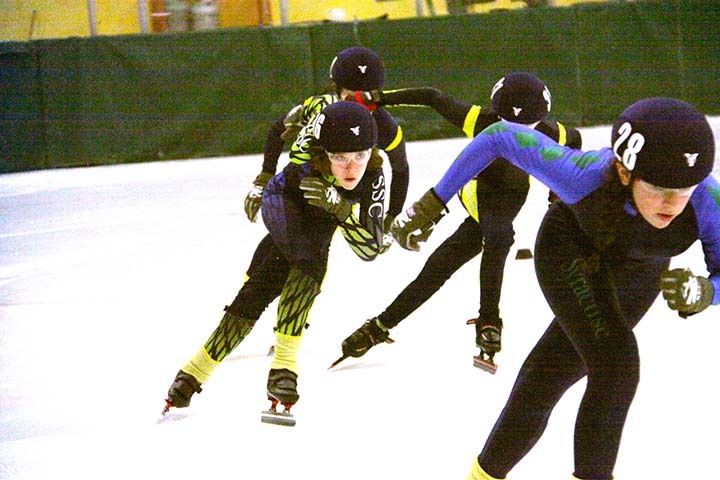 Syracuse Speedskating celebrated a club record of seven skaters qualifying to participate in at the 2018 National Age Group Short Track Championships held in Saratoga Springs, NY. In addition to Wilkins and Stewart, Sarah Crovella, Isabel Crovella, Matthew Crovella, Sammy Hart-Gorman and Cassandra Clarke represented SSC at the event. Syracuse Speedskating Club was founded by Jack Byrne and Harold Harrington in 1958.